JDM R34 SKYLINE INTERCOOLER KIT. NISSAN SKYLINE R34 GTST JDM PERFORMANCE INTERCOOLER KIT. 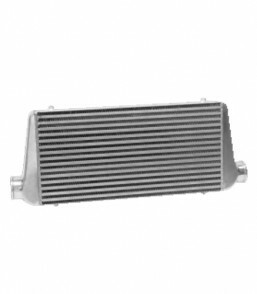 INTERCOOLER SIZE IS 600 x 300 x 76mm Heavy Duty Bar And Plate Design * All kits Contain One Latest JDM PERFORMANCE Intercooler, All Top And Bottom Mounting Brackets, Bolts & Nuts, Blue Reinforced Silicone Hoses, Aluminium Piping And Stainless Steel Heavy Duty Clamps. JDM PERFORMANCE Intercoolers Are Quality Tested Up To 100PSI Over 1200HP.JDM PERFORMANCE Intercooler Pipings Are All Mandrel Bent With The Shortest Route Possible, Designed For Fastest And Smoothest Air Flow, Our Light Weight Aluminium Pipings Are Designed For Easy Fitment.